Having represented Great Britain and become Fegentri World Champion Runner-Up last year, Danny Cook has enjoyed pole position most of this jump season in the amateur tables. That was before Oliver Greenall warmed to the task and they have played a game of cat and mouse streets ahead of their rivals, being the only two gentlemen jockeys to earn double figures this season. Two weeks ago Danny was on 18 wins and Oliver 17. 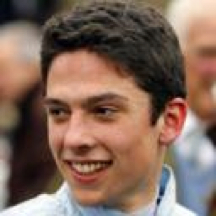 That was before a fantastic fortnight for Oliver during which Danny had to sit out a 12 day ban (following the Huntingdon wrong course incident) and watch from the sidelines as Oliver (pictured below) has ridden 6 winners including Amicelli at Cheltenham and a double at Perth which included Laertes in the Highlands National. Unable to call upon the horsepower of his fellow jockey to give a sustained battle to the line, Danny (pictured below) has decided to turn professional before the end of the season and takes out his professional licence today. We wish him good luck in his professional capacity. It is excellent to see the amateur route provide a schooling ground for such a talented and promising jockey. Meanwhile, with Oliver’s nearest rival now being Donal Devereux on 9 winners, it looks likely that we should all be offering many congratulations to Oliver on his tremendous achievement, especially considering the nasty injury he sustained recently at Cheltenham when bruising his spleen. The champions will be presented with their usual magnums of champagne at Stratford on Saturday 23rd May. Lucy Horner currently leads the ladies on 11 winners, her nearest rivals being Georgina Andrews and Rose Dobbin on 5. AJA SPONSORED RACES HELP JOCKEYS TRAVEL! The AJA were delighted to kick start this year’s flat season for amateur jockeys with races at Doncaster on Sunday 29th March for gentlemen jockeys and on Saturday 18th April for the ladies. With KING’S RANSOM (Trevor Woodside) taking a very long lead from early on, DIRECTOR’S CHAIR (Ross Birkett) was always up with the leading bunch and was ready to pounce when KING’S RANSOM started to come back to the field. DIRECTOR’S CHAIR responded to his jockey’s driving and dug deep to hold on from the late challenge of runner up TOP SEED with KING’S RANSOM back in third. This was an important win for Ross as it was his 5th win under Rules and therefore qualifies him to enjoy riding abroad in Fegentri races, which was also enjoyed a few years ago by his mother, trainer Julia Feilden. By coincidence, the result of the ladies 7f race on Saturday was also of significance for the winning rider Wendy Gibson. SMARTY SOCKS came off the pace and kept on well on the firmish ground to lead inside the final furlong and make an interesting day for his owner who was also in the middle of moving house! 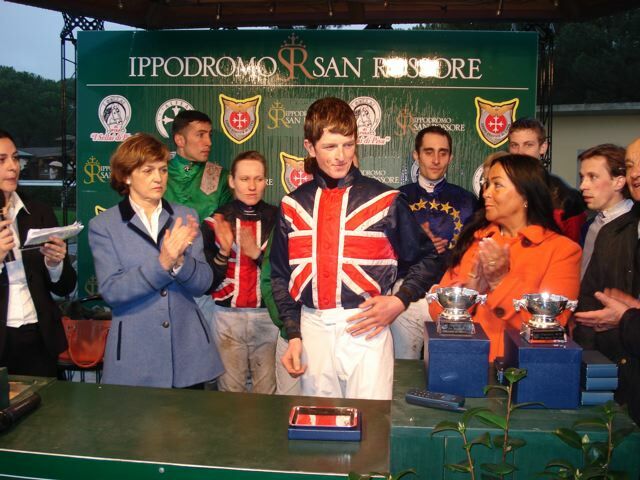 This also gave Wendy her 5th win in her career and both Ross and Wendy will now represent Great Britain in Baden-Baden, Germany, on 16th May in the Fegentri World Cup of Nations when they will wear the unique Union Jack silks. Many congratulations to them both! 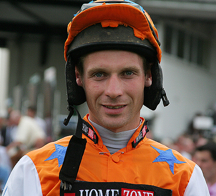 Get well soon to Andrew Kinirons who unfortunately sustained a broken leg in the novice chase at Market Rasen on Sunday when only one horse safely negotiated the first fence safely and was gifted the race, finishing alone from the 4 runner field. Andrew was operated on yesterday in Lincoln and we all wish him a good recovery. 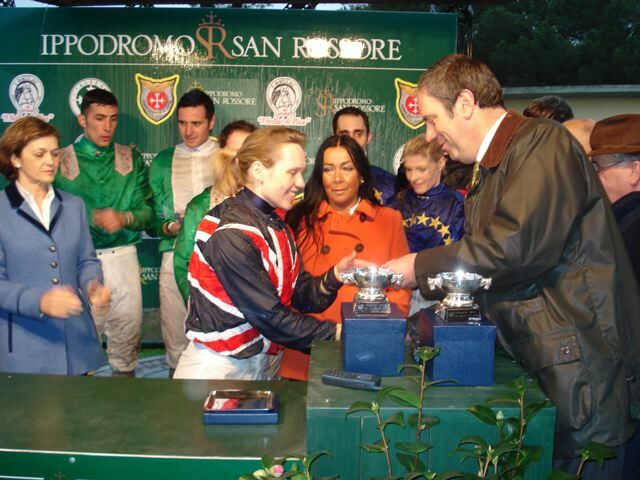 The previous weekend Andrew (based with Sue Smith) together with Ruth Jefferson represented Great Britain in Pisa in the Fegentri World Cup of Nations where they finished 4th and 6th respectively. Thomas Greenall followed in his father’s footsteps today and enjoyed the most prestigious of his career wins at his family’s local course when winning the Foxhunters at Aintree. A field of 29 went to post and, with no fallers at the first, Strong Weld and Brooklyn Breeze took them along at a strong gallop on the lively ground. 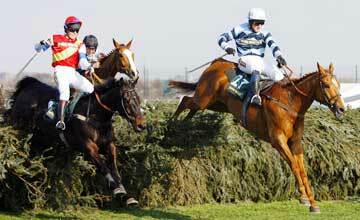 With 20 horses completing, nine of the runners were still there with a chance at the penultimate fence. Richard Barber’s 11 year old Trust Fund had crept into contention to lead two out and responded gamely to Thomas Greenall’s niggling to stave off the late challenge of Claire Allen and last year’s winner Christy Beamish, who finished four lengths away a gallant second.